Fresh Maine lobsters delivered right to your door! 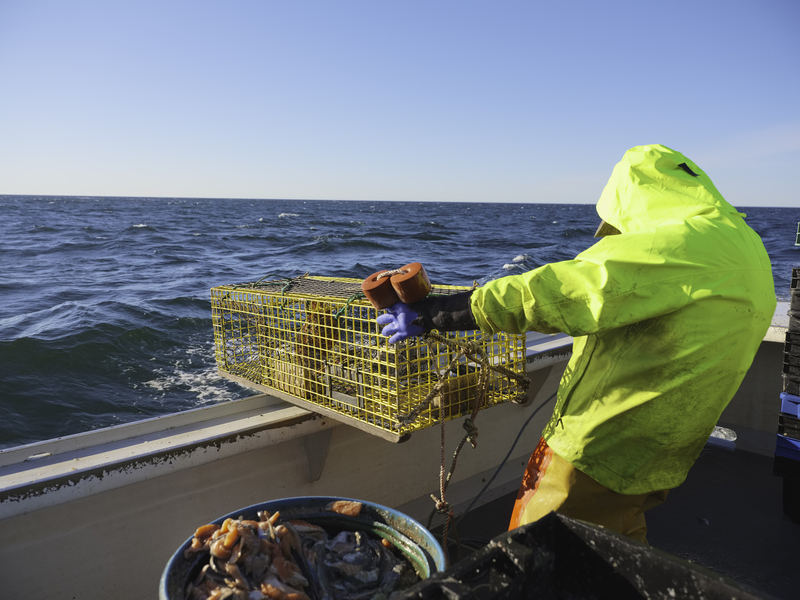 Off the Boat Lobsters now offers fresh Maine lobsters shipped all across the continental US! 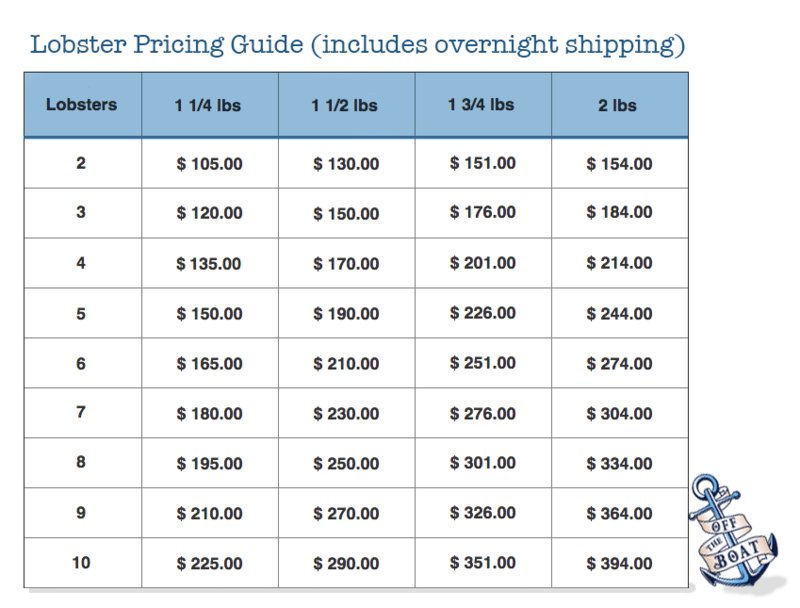 Simply choose the size and quantity of lobsters that you’d like, and we’ll send them to you via overnight shipping (included in the price). Read the full description for important shipping information. 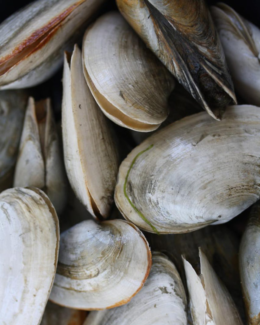 [OPTIONAL] Add fresh steamers to your order for $15 per pound! Simply enter the number of pounds you would like below. Price per pound ($15.00) This must be a number! You will be able to schedule your delivery date at checkout. Weekday delivery is included in the price. Saturday shipping is available for an additional $50. 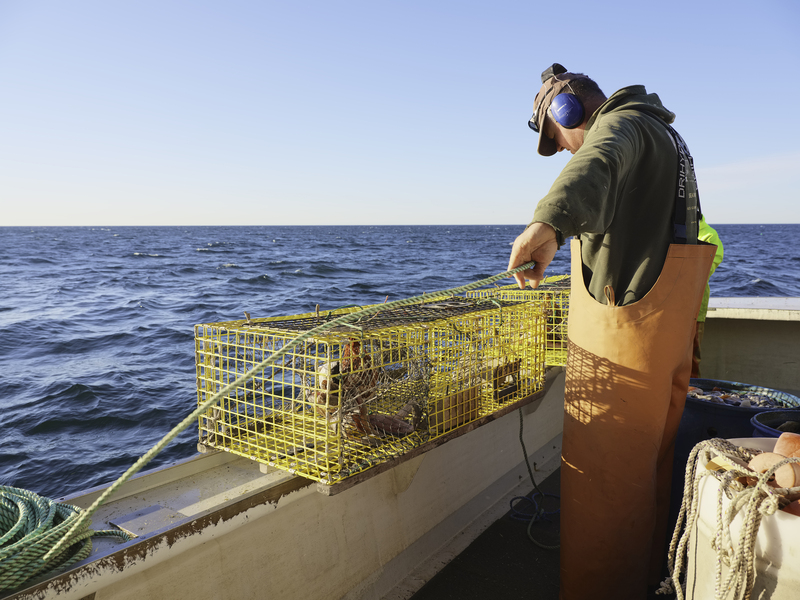 Off the Boat Lobsters now offers fresh Maine lobsters shipped all across the continental US! 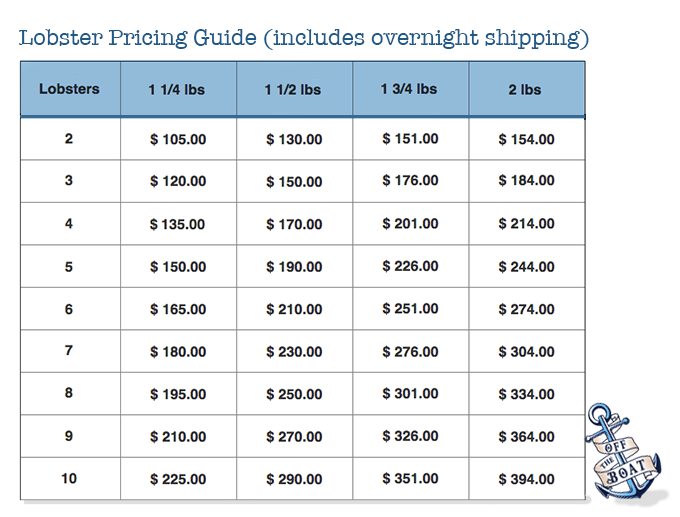 Simply choose the size and quantity of lobsters that you’d like, and we’ll send them to you via overnight shipping. CONTACT US for quantities greater than 10, or for lobsters over 2 pounds. We are happy to help with special orders. BE READY FOR YOUR LOBSTERS! 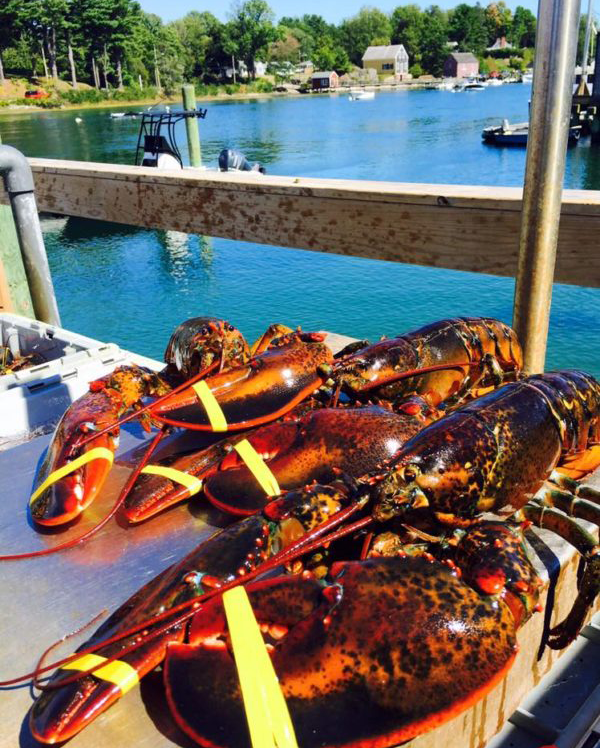 Be sure to be ready for your delivery, as these are live, fresh lobsters! You will want to be available to receive your package and get them into a refrigerator or cooler. And remember, lobsters make a great gift, but not a great surprise! 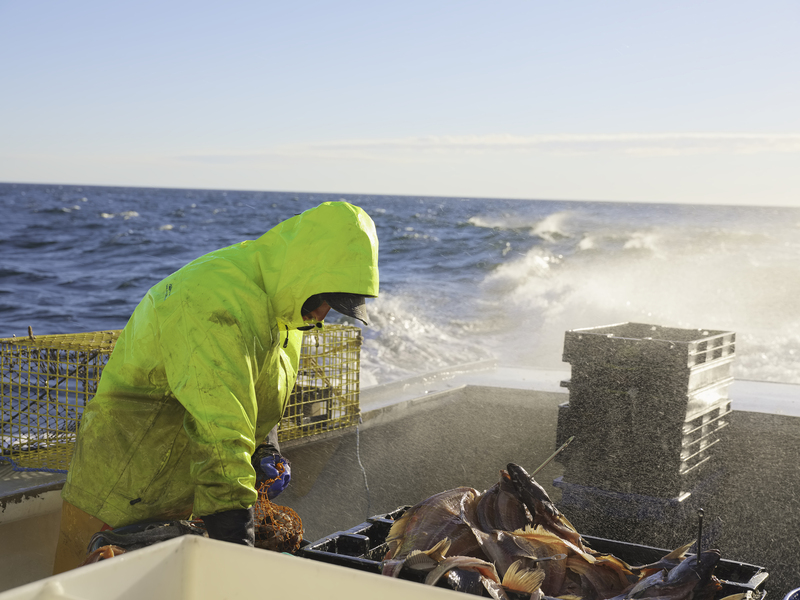 Read our Lobster 101 page to learn more.